I grew up in Rumson, NJ using my fake ID to get into the Stone Pony with a $2 cover charge to hear Bruce Springsteen (before we knew how famous he'd be). Who knew? 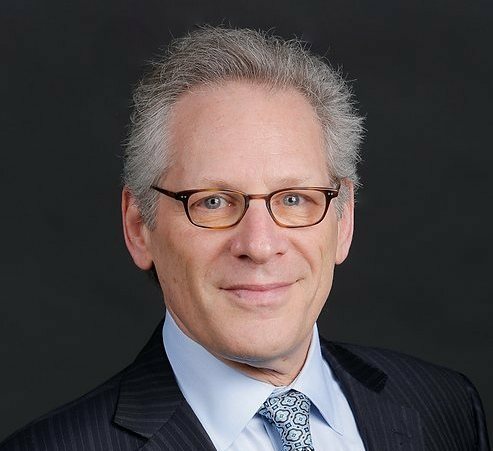 In his new book, Leading the Life You Want: Skills for integrating World and Life, Stew Friedman shares how The Boss has harmonized parts of his life to find a balance that works for him. It can work for all of us - if we're willing to learn...because after all, we were all born to run! Bruce Springsteen didn't get to where he is today with a well crafted 20 year plan for his life. It hasn't even been through a fully conscious quest for work-life balance but, rather, a continually evolving search for harmony among the different parts of his life. But he is here - a globally adored artist, a proud father, and a catalyst for progressive social change. You can’t have it all: Complete success in all areas of your life, all at the same time. No one can. But, even though it can seem impossible, The Boss, and many others who’ve achieved greatness, prove that harmony among the different parts of life is attainable. The most successful people harness the powers of the various aspects of their lives, bringing them together in the pursuit of what I call “four-way wins”--actions that result over the long haul in things like being better at work, at home, in the community, and for yourself. Skeptics, take heed: Anyone can do this. There are learnable skills that help you find ways to lead the life you want. To be real is to act with authenticity by clarifying what’s important to you. It’s your answer to this basic question: What matters most to me? To be whole is to act with integrity by recognizing how the different parts of your life affect each other. This means identifying who matters most to you at work, at home, and in the community; understanding what you need from each other; and seeing whether and how these needs mesh. To be innovative is to act with creativity by experimenting with how things get done in ways that are good for you and for the people around you--taking realistic steps aimed at scoring four-way wins. These principles come alive in skills you can practice every day, and Springsteen illustrates each of these skills. In the confusing warp of fame and wealth, many rock stars forsake their values and fall prey to scandal, artistic stagnation, or early death. Springsteen is grounded by his musical mission, his family, his community of origin and the world community of fans he’s created. This has also allowed him to remain at heart the same down-to-earth Jersey guy he was before striking it big. Rather than conforming to external pressures, Springsteen relies on his values to guide his behavior. He’s not afraid to speak his mind. People relate to his music and lyrics on such a deeply personal level because he is consciously striving to be true to himself--a struggle to which all can relate. Springsteen wasn’t born with the ability to give voice to the truth of his experience; it’s a skill he’s refined. In the aftermath of 9/11, Springsteen struggled to come to terms with the horrifying attack. In a way that was even more explicit than his previous albums, in "The Rising" he produced songs to express the grief and hope he found in himself, his family, and his community. Not only was this a way to articulate what was important in all aspects of his life, it was a turning pointp for him because it put him on a path to becoming more directly involved in politics. Springsteen has since grown more fervent in his appreciation of how important it is to take political stands rooted in his family, societal, and spiritual domains. He tries to be who he is, wherever he is. The skill of clarifying expectations involves both advocacy for your own point of view and inquiry about what others want. Springsteen has always been insistent and clear--with his band, producers, engineers, and audiences--about the sounds inside his head that he’s trying to recreate. It took days of trial and error, for example, just to find the right timbre for the drums on "Darkness on the Edge of Town," but the young Springsteen (still in his twenties) wouldn’t stop pushing until everyone grasped exactly the sound he was looking for. Another episode, much further down the line, occurred during a live performance of "American Skin (41 Shots)." The audience was noisily rustling during the introductory refrain and Springsteen demanded quiet. Hush ensued. He is good at letting people know what he wants. But communication about expectations must be a two-way street. Springsteen’s capacity to hear the rumblings around him has enabled him to stay current with the culture. A great storyteller must be a great listener. After 9/11, Springsteen offered condolences to families of local victims and honored first responders with new versions of his songs. 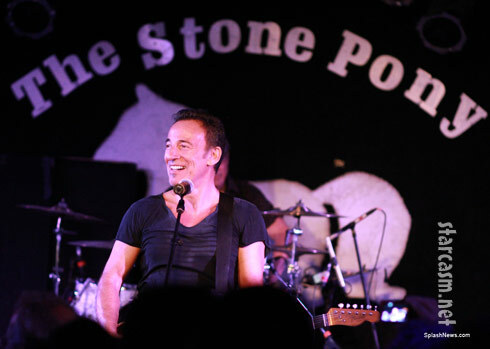 In his 2012 South by Southwest keynote, Springsteen said he got the inspiration for "The Rising" a few days after the attacks, when a stranger in a car stopped next to him, rolled down his window, and said: "We need you now.” Staying closely attuned to his audience’s changing interests is a crucial element in Springsteen’s repertoire of leadership skills. Springsteen looks for opportunities to show others how he’s learning new ways of doing things and encourages them to innovate. Leading by example, he inspires others to be creative. His enthusiasm for learning is contagious. A main ingredient in Springsteen’s recipe for success, personally and professionally, is his thirst for useful knowledge; his desire to change the world--to create something new that makes things better--and to change himself. He talked to the 2012 South by Southwest crowd about his hunger to learn and how he had to step out of the mold to discover his own musical style. But not only has he been on a lifelong search for better ways to express his ideas in music, Springsteen has been seeking to better understand his inner life. Here, too, he has used his own experience to inspire others. His use of psychotherapy demonstrates his belief in the value of disciplined self-discovery. Therapy helped Springsteen work through the scars of his childhood and learn how to appreciate life beyond work and especially real intimacy and the family he’s created. Talking about this pursuit of self-knowledge turned him into a role model, helping to de-stigmatize therapy and open doors for people, especially men, who might not otherwise seek such help. It wasn’t easy to talk about these things publicly, but Springsteen mustered the will to do so. He crafted an analogy (going to your auto mechanic to check under the hood) to convey what he was doing. He showed others there are practical means available--tools they can use--to heal their own scars. Springsteen is a teacher. His mega-star success as a performing artist has come as a consequence of, and not at a cost to, his investments in his family, his community, and his private self. His music is greatly enriched by these other parts of his life, and his music is the vehicle through which he is able to live a rewarding life beyond it. While most of us won’t reach the dizzying heights of public renown like Springsteen has, we can all learn how to pursue four-way wins and create a greater sense of harmony in our lives. 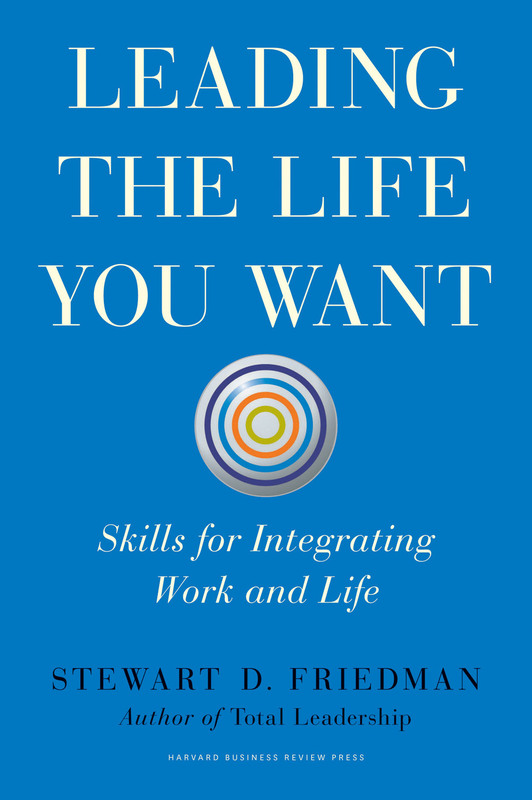 Stew’s most recent book is Leading the Life You Want: Skills for Integrating Work and Life (Harvard Business, 2014). In 2013 he published Baby Bust: New Choices for Men and Women in Work and Family (Wharton Digital Press). He is also author of the award-winning bestseller, Total Leadership: Be a Better Leader, Have a Richer Life (Harvard Business, 2008). It describes his challenging Wharton course (originally produced at Ford), in which participants do real-world exercises to increase their leadership performance in all parts of their lives by better integrating them, while working in peer-to-peer coaching relationships and using an innovative social learning site. The Total Leadership program – which marries the work/life and leadership development fields – is now used by individuals and organizations worldwide, including the 57K+ students in his recent Coursera course. The Total Leadership Web site was chosen as one of Forbes’ best for women. Stew also publishes at Harvard Business Review.